Keep your visitors informed with memorable and useful blog posts crafted by the wordsmiths at Atticus Marketing. It is important to stay current and prevalent in your customer’s minds. Writing consistent and engaging content is a quick way to gain repeat web visitors. 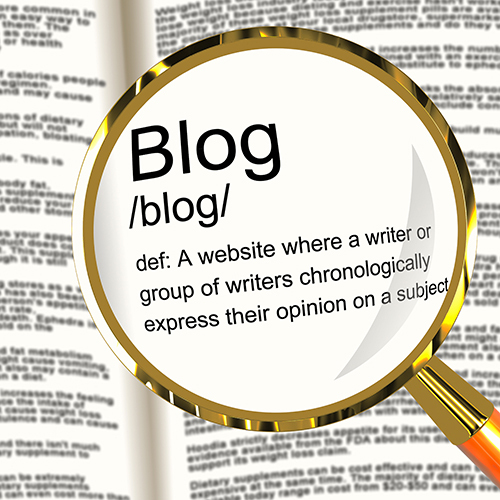 Subscribe to our writing services and we will provide you with thorough and well written blog posts. We’ll even write your first blog post for one 99¢! Social media is one of the best ways to stay connected to your customers and target audience. However, all to often a company’s employs the same marketing strategy for every social channel. Facebook, Twitter, LinkedIn, Pintrest, Instagram, Tumblr, Google+, Snapchat, and the others all require their own unique posts and messages. Atticus Marketing has a through understanding of these differences and will create and maintain as many effective social media marketing campaigns as your business or service can support! LET’S GET SOCIAL TODAY! One of the most powerful ways to gain the trust and eventual business of future customers is to let them know about your greatest triumphs and successes. Atticus Marketing provides case study writing services where we will gather information about these particular instances and construct an impactful and relatable case study that you can promote on your website and incorporate into your sales pitches. AT ATTICUS MARKETING, WE’LL SING YOUR PRAISES FROM THE DIGITAL MOUNTAINTOPS THROUGH WELL WRITTEN CASE STUDIES! Espicially from an eCommerce standpoint, your product description text is extrmely important. A well-written product description can practically make the sale by itself! Our eCommerce experts are able to craft captivating product descriptions that accentuate the advantages and benefits in a way that speaks to a prospective buyer. We can also create product data sheets or catalogs that you can send to your customers or use in your prospecting efforts. You have a Dream. We will make it a reality.